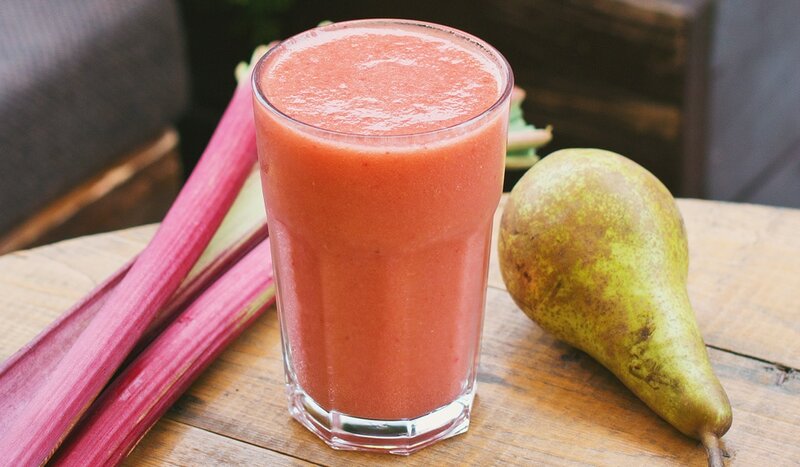 1In a blender, combine strawberries, banana and peaches. 2Blend until fruit is pureed. 4Add ice and blend to desired consistency. 5Pour into glasses and serve. 1Use whatever fresh fruits are in season. Any kind of berry, mangoes, pawpaw, kiwi fruit – all make a great smoothie. Experiment with your favorites.